22/01/2013: Microsoft confirms Surface Pro availability and pricing, EE offers improved 4G plans, AMD appointments and much more! Microsoft Surface Pro gets arrival time and price tags! Microsoft’s Surface RT tablet has proved to be an interesting device, it's not running fully fledged Windows, but the device definitely has a place and more importantly a future at Microsoft. The new Surface Pro on the other hand is a totally different beast. Running full Windows 8 on relatively conventional hardware, all of which is crammed into a tablet form factor, this truly is the mobile computing experience. We've had to wait a little while to hear about the Surface Pro's but alas we now know the devices will be available in both America and Canada from February the 9th! 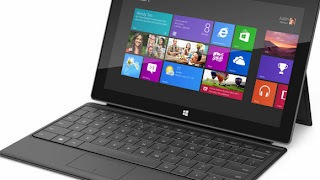 The tablets are a step up in price from the Surface RT's and so this bunch starts from $899! The $899 will buy you 64GB of solid-state storage as standard, as well as a digital Surface pen, but if you add another hundred dollars you can have a 128GB of storage. The rest of the device's internals include Intel’s Core i5 processor and HD Graphics 4000 GPU pairing, 4GB of dual-channel memory and a 10.6-inch Clear Type display which is Full HD, 1920 x 1080, and offers 10-point multitouch and support for the stylus we mentioned earlier! 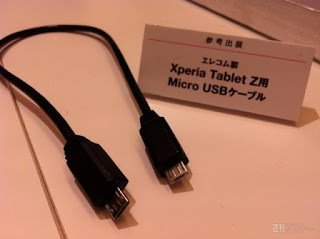 The device will have a good set of connections which include; WiFi a/b/g/n, Bluetooth 4.0, a USB 3.0 port, a microSDXC memory card slot, a headset jack, a Mini DisplayPort, and of course the connector for those keyboard covers! Your device will be nicely rounded out with a microphone, stereo speakers, and a two 720p capable webcams, one on each side of the device, all of which should make those Skype calls work well, as will the kickstand! All of this is crammed into a case which is 10.81 x 6.81 x 0.53 inches and will weigh less than 2lbs! One interesting addition is a special 48W power supply which has a little 5W USB port for making sure your accessories keep going as long as the tablet does! You can pick one of these up from Microsoft stores or online, unless of course you would prefer to pop to Staples or Best Buy if you live in the USA! If you live outside of the US or Canada you are still greeted with the 'Coming Soon' message, so we might see something soon about wider releases! EE out new limited edition 4G plans with extra data! Since EE, the terrible twosome of Orange and T-Mobile, outed their 4G plans they were widely criticised by tech websites for their extortionate prices and very limited data options. Surprisingly it actually seems like EE took a little bit of notice and they've offered up a few more tariffs which have caught our attention this time! EE are today offering some more less expensive plans the first of which is £31 per month plan costs, some £5 per month less than EE's cheapest standard offer. This plan will be available from January 31st to March 31st and it will include your normal unlimited minutes and texts, 500MB of data and it will require a 24 month commitment, but you will now be able to get some more inexpensive phones which have 4G capabilities. You can get both the HTC One SV and the Windows Phone 8 powered Nokia Lumia 820 from £29.99, which is actually a saving of nearly £100 compared to standard EE deals! Most of you will probably be more drawn in by this one though. It's designed for 'super users', who currently make up less than 1% of EE's users, but you can get your hands on 20GB of data, as well as those unlimited minutes and texts, for £46. If you want a phone with that the contract price jumps up to £61. You can get the deals in store from today all the way up to February the 28th! These still aren't cheap plans by any stretch of the imagination, but we'll have to wait for 4G deployment from other networks before we see some sort of value! For the moment we're sticking with unlimited 3G data! The guys over at TechnoBuffalo have got their hands on a supposedly leaked roadmap of recent Samsung devices which will supposedly confirm the existence of the Galaxy Note 8.0 and the Galaxy Xcover 2! Head over to their site if you're interested, but they appear to be pretty much what we covered here and here! 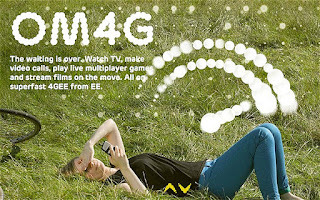 Phones4U has partnered with EE to create another UK based MNVO, this one is called Life Mobile. We're not sure exactly what unique features Life will bring, but we expect this is Phones4U's answer to the Carphone Warehouse's TalkMobile! Slashgear things that this Q1 will work out as being one of the best periods of iPhone sales in Apple's history! This would certainly disprove reports of Apple cutting order numbers if this proves to be right. You can check out their mathematics here. HMV will temporarily be taken under the wing of Canadian company Hilco. They are the people who have previously saved Polaroid and they essentially own all of HMV's UK assets now that they have bought the debt off of Lloyds and the Royal Bank of Scotland. This deal is supposedly popular with record labels and film studios. On the plus side gift vouchers can now be used again! Huawei's P1 smartphone is currently available at the cheap price of £200 from the UK brand of Expansys! Their tweet embedded below will give you all the information you need to pick one up! AMD has hired two senior engineers from Apple and Qualcomm to boost their system-on-chip (SoC) development. Charles Matar, came to fame at Qualcomm, where he worked on low-power and embedded chip design. He will be AMD's vice president of System-on-Chip Development according to Reuters' sources. Wayne Meretsky used to be employed by Cupertino's finest and he was charged with processors for i devices. He is AMD's new vice president of software IP development! And finally, If you pick up an Xperia Tablet Z from Sony then it seems you'll also have the privilege of charging your Xperia Z straight from your tablet! Only thing is that the only device which will support this currently is the Xperia Z, so hopefully Sony can add a few more devices to this list!